Many people suffer from allergies and asthma today. 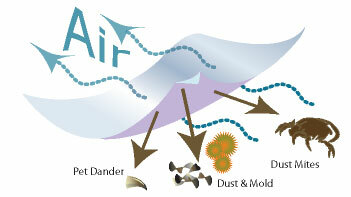 It’s important to improve the quality of air inside the home to reduce or eliminate any symptoms that might occur. Fortunately, you can buy a canister vacuum cleaner that will not only get the floors in your home clean but also help remove allergens like dust mites, pet dander, and mold spores from the air. The end result is fresher air and less problematic symptoms for the allergy sufferers. So, after thorough investigations, this article will revealed the three best canister vacuums for allergy sufferers. Side note: You may also like to know the best vacuums for pet hair removals. What is a Sealed Vacuum System? So Who Makes The Best Allergy-friendly Vacuums? In the market today, there are quite a few of the canister are so called the sealed system. It’s a machine that design in such a way that the air channel and filter compartment does not leak the exhaust air. So, it will go through the filter (like HEPA filter) before come out into the room, removing almost all of the allergens. This is also related to the design of the vacuum – bagged or bagless! Many people prefer the bagless as it’s more economical as you not need to buy the bag. It’s also more convenient as you just need to detach the dust bin with the press of a button. But with bagless machine, you need to empty the dirt container from time to time and perform maintenance on the filter. This is to ensure the vacuum operate at the top levels. When emptying the dirt cup, it’s impossible to empty it without causing the slight dust cloud! So, you can wear a mask and dump it outdoors or put the canister container into the dustbin before push the dump button to minimize any escaping dust. On the other side, some cleaners are well-designed with bagged system. This kind of vacuums will incorporate a flap at the bag opening to seal the bag when removing. This prevents you from getting in touch to the dust and it’s especially critical if you are allergy sufferer. British Allergy Foundation in UK which provides many useful resources and recommendations for allergy and asthma sufferers. These foundations also test some of the vacuum cleaners out there (or manufacturers also can submit application) to see the particular vacuum can really reduces the total allergen burden. The testing includes evaluation of the integrity of the filtration system, airborne allergen levels, etc. They are not testing the overall quality, power, convenient of use, etc. But they are unable to test all the vacuum cleaners on the market. They only test those models that are submitted for certification testing by manufacturers including the testing fee. If the vacuum model passed their test, it will be boast an Allergy Friendly Sticker. So, due to this…a vacuum that do not boast by the Allergy Friendly Sticker doesn’t mean it’s not allergy-friendly. It may be because it was not tested by the foundation. Look for a model with an easily cleanable HEPA filter if you have allergies. Just because the best canister models are smaller in size, it doesn’t mean that these vacuums are any less effective when it comes to cleaning. Many canister vacuum cleaner manufacturers cite the models’ steady motors and effective HEPA filters as major pluses to the models. They may not have the heavy-duty strength of an upright model, but they can certainly handle any home or office’s day to day cleaning needs. Get a canister vacuum with HEPA filter is a must have feature for anyone suffering from allergies or asthma. The good thing is that majority of canister vacuums you see today come with HEPA filtration. This is essential for trapping the smallest of particles down to 0.3 microns in size before the air is pumped back into your house. Traditionally these allergens would mostly pass right through the vacuum but the invention of HEPA changed all of that. Additionally, the filters do a great to keep the debris where it belongs: out of the air. Thus, these models are just as good an investment as others in the market, especially those who have limited space for storing a vacuum. 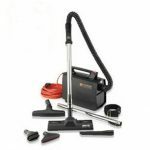 A HEPA canister vacuum is highly recommended for any homeowner who is serious about their indoor air quality. 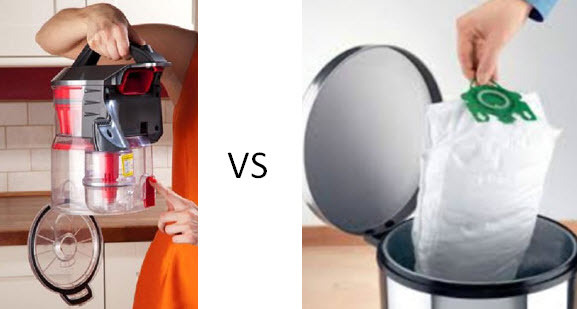 But bear in mind that the HEPA filtration does not guarantee the best canister for allergies. This is not an easy question to answer and it really could have any number of answers. Undoubtedly though, Miele canister vacuums are among the top rated at removing allergens from the air and leaving your home much cleaner than it was before. Their higher end models use a combination of filters and a dustbag to virtually trap all the dirt and dust. The top Miele vacuum cleaners in their line up use three different air filters, which each doing their part along the air path to maximize the overall cleaning process. 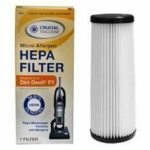 Their Super Air Clean filter is used for standard filtration, their Active Air Clean filter removes unpleasant odors via a charcoal element, and the Active HEPA filter removes the microscopic organisms. In addition to this, their IntensiveClean™ dustbags are designed to seal any dirt particles inside without letting them escape back into your home. 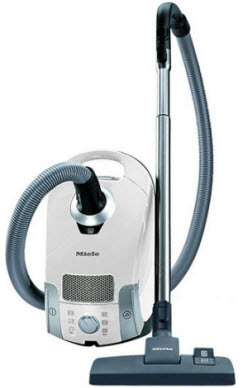 If you are looking for the best canister vacuum for your allergies then look no further than Miele. While there are several brands that do a great job as well (Dyson, SEBO, Panasonic and Hoover to name a few), Miele is known for their tremendous suction and filtration systems. Just make sure you match the right model with your specific cleaning requirements and floor types. 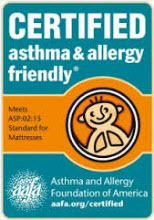 Following are some of the recommended ‘allergy-safe’ canister vacuums for those that suffered asthma and/or allergies. This is the entry level model (most affordable yet reliable) from the Miele canister vacuums but it delivered really excellent performance. Most people are praise this vacuum model because of it high quality, quiet, at most of the time met the user expectations. Even though this vacuum is not using HEPA filter but the Miele unique AirClean filtration system also can capture most particles. You can get more info about the Miele C1 Pure Suction here. This is cinetic vacuum cleaner by Dyson is able to captures most of the microscopic that can get a vacuum clog. Its featured no loss suction bagless cleaner and no filter to wash or replace. But it high-tech features make it stand up as one of the most reliable canister for allergies. The mid-range vacuum comes with 5-year warranty (parts and labor). For more info and read the customer reviews, visit this Amazon page. 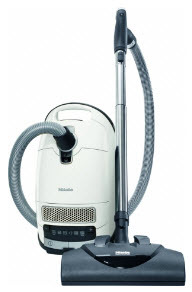 Another Miele product that you must considers if you are allergies or asthma sufferers. If you are unfamiliar, the new complete C3 series is definitely outstanding in most of their features and it comes with 7-year motor and casing warranty. This cleaner is also specially designed for pet hairs cleaning. Whatever models that you choose, it’s worth remembering that a good vacuum makes your home not just cleaner but healthier. Miele canister vacuums are somewhat expensive but they are proven built to last. A good suction power is among the most critical factors to consider when getting a top canister vac for asthma and allergy sufferers. Of course this must be accompany with other features to make it a reliable cleaner.